Choose filters from multiple categories to narrow search results. The demand for commercial and multifamily construction is soaring, and the framing industry is expanding to meet this demand. This session examines the consequences of framing mistakes from the ground up, providing practical solutions for avoiding typical issues using APA’s resources as a guide. APA's Warren Hamrick discusses common advanced framing techniques, the benefits of the system and typical challenges that builders encounter during the conversion from traditional framing to advanced framing. 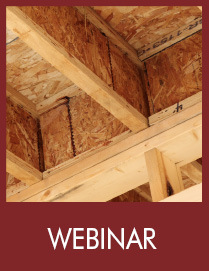 This training discusses I-joist floor assemblies that meet the fire-protective membrane requirements, outlining what firefighters, fire officials and code officials should know about code requirements and tested alternatives to ensure requisite structural performance in fire conditions. The presentation identifies cost-effective ways to meet the energy code, focusing on the advantages to performance-based energy code compliance, pathways to comply with energy codes and the impacts of different materials and systems on energy efficiency. Approved by AIA and ICC for continuing education credit. 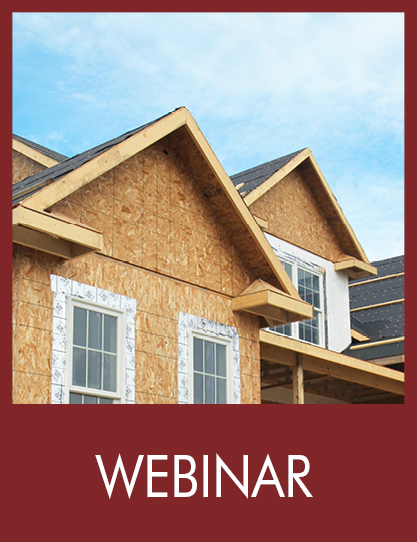 Presented by Bob Kuserk, PE, this webinar covers the proper specification and detailing of connectors for code-compliant wood-frame construction. This recorded webinar, presented by Alese Ashuckian, PE, includes an overview an overview of APA's free design tool, the FTAO Calculator, and explains how it can help engineers and code officials in the design and implementation of FTAO shear walls, with a focus on asymmetric piers and multiple openings. 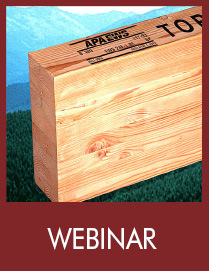 APA's After the Storm webinar, presented by Mary Uher, APA Engineered Wood Specialist, includes an overview of high wind forces, the importance of a continuous load path, and how good design and construction practices can improve the storm resistance of buildings. 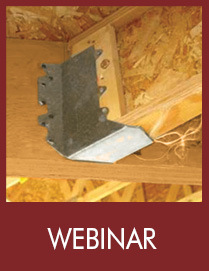 This previously recorded webinar provides a detailed introduction to the uses and specification of glulam for beams, headers and columns. Topics include glulam construction and anatomy; typical applications; notching, drilling and connection details; and more. Issued May 2016. This previously recorded webinar discusses best practices in the design of engineered floor systems. Includes recommendations for I-joist and rim board layout, and the proper use of joist hangers, squash blocks and web stiffeners for transferring vertical loads. It also includes notching and drilling recommendations to maintain structural integrity. Issued April 2016. This previously recorded webinar introduces the types of loads on buildings, designing for load paths, load factors, simple and multiple spans, and using span tables in specifying I-joists and rim board in floor systems. Issued April 2016.